New details of 6ix9ine’s attempted Chief Keef shooting have emerged. 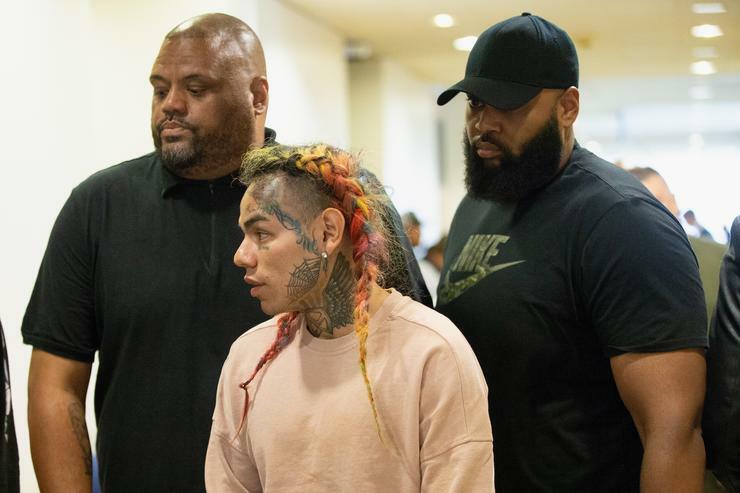 With 6ix9ine currently spending time in jail before his trial begins next year, news about the rapper has dwindled to a new low. There isn’t much information about him other than a new commercial that he stars in, which is actually pretty painful to watch. (see previous story) The whole thing has a major dose of cringe attached to it. At this point, you’ve heard about the attempted shooting that 6ix9ine was involved in during his beef with Chief Keef. New details have just emerged, courtesy of Complex, that reveal who pulled the trigger and how much money was on the line. New court documents about the Chief Keef shooting show that 6ix9ine told authorities that his associate, Kintea “Kooda B” McKenzie was the triggerman in the job. Tekashi says that he offered $20K to his friend in order to fire shots at Chief Keef. McKenzie met with the rapper and Kifano “Shotti” Jordan to accept payment. However, he only took half of the prize, taking home $10K for his role in the shooting. Complex writes that 6ix9ine initially denied any involvement in the incident but now, he’s confirming that he hired Kooda to do the job for him. Both McKenzie and 6ix9ine are facing maximum sentences of life in prison. Nobody was injured in the shooting.